Charlotte – March 2018 – Color Solutions International, a member of the DyStar® Group, is launching their Color Analysis magazine for Autumn/Winter 2019. 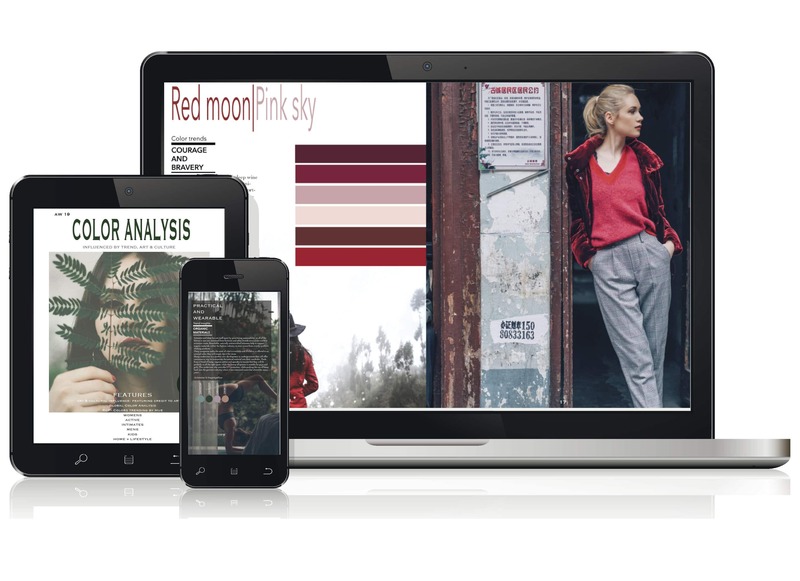 This trend forecasting magazine provides high-level global color information for color managers, directors and designers to support the color palette development process. The magazine includes a seasonal color palette selected from a wide range of approximately 3,700 CSI ColorWall™ colors. Based on most recent customer feedback, the newest edition of Color Analysis was adjusted to be more valuable for the design and palette creation process. This new edition contains 54 trend and validated colors, additional color data, and color evolution & direction by hue. Furthermore, the color trend palettes are displayed by product category: Women’s, Active, Intimates, Men’s, Kids and Home. Similar to the previous editions, Color Analysis also includes our proprietary Relative Color Popularity report (RCP), offering color predictions with validation of performing colors. The CSI and DyStar team of experts work together and assist their customers in color development and communication as well as in the dyeing and quality inspection process to achieve best possible results and sustainable fashion. All CSI products are produced with high-quality, eco-friendly DyStar colorants.